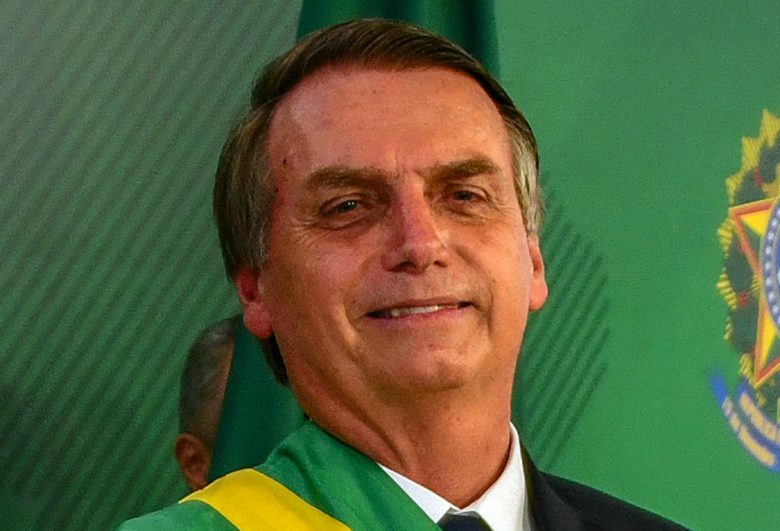 Jair Bolsonaro became president of Brazil in January 2019. Tim Cook was among the CEOs spotted having dinner at Davos with controversial far-right Brazilian president Jair Bolsonaro. Bolsonaro has made numerous comments that won’t have endeared him to Cook, such as telling an interviewer in 2011 that he would, “rather his son die in a car accident than be gay.” In another interview he said that he was, “proud to be homophobic.” He became president of Brazil in January 2019. Tim Cook — who publicly came out as gay several years ago — has long used his position at Apple to support the LGBT community. He has also talked about anti-discrimination, and a number of issues that would no doubt put him on the other side of the political aisle to Jair Bolsonaro. Cook and Bolsonaro weren’t the only people sharing the table at the annual World Economic Forum, which brings together members of the world’s elite in Davos, Switzerland. Microsoft CEO Satya Nadella was also at the dinner, in addition to various other political figures. A photo of the meeting was tweeted by Axios reporter Felix Salmon. Situations such as this pose a challenge for the likes of Tim Cook. Just as with Apple’s sometimes criticized business in China, which seems to go against some of the company’s public beliefs, Cook must play nice with a variety of politicians. In the U.S., he raised money for Hillary Clinton, but has nonetheless met multiple times with Donald Trump. As Cook speaks publicly about Apple being a “force for good” and a moral presence, however, situations like this appear somewhat unfortunate.